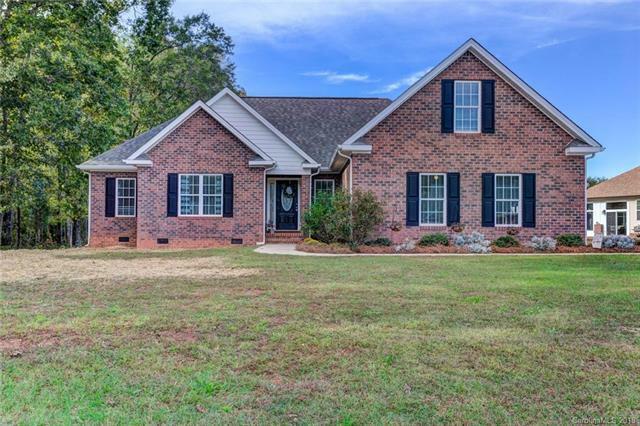 4 Bedroom 2 Full Baths Built in 2012 custom built home on half acre lot in Granite Quarry. Kitchen with granite like laminate tops & custom cabinets. Stainless smooth surface range, microwave & dishwasher. Energy efficient heat pump keeps your bills down. Solid oak hardwood flooring, ceramic tile, custom closet organizers, & fireplace. Large Bonus room has closet & separate heat pump. Great curb appeal brick front with side entry garage in AWESOME LOCATION. This is the ONE!